a pile of stones (or a steel and glass box). 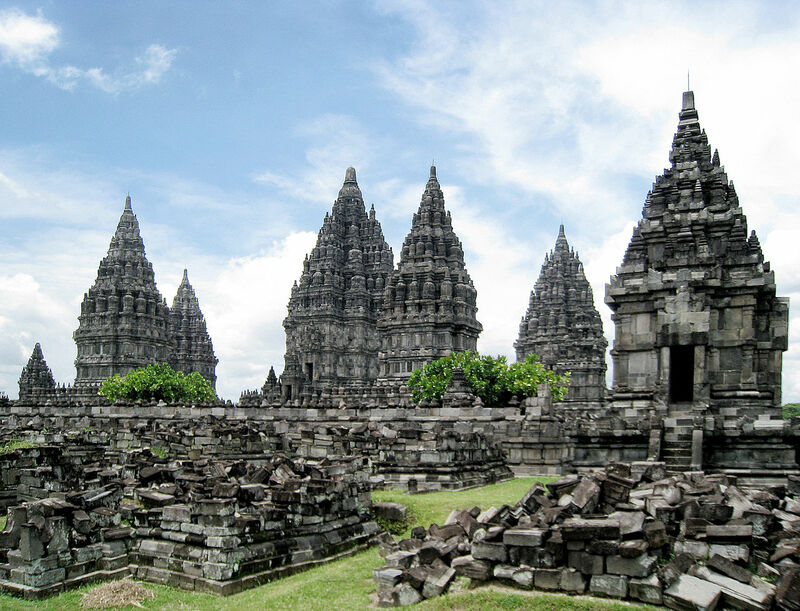 Pagan religions have always been associated with their temples and buildings. Got allowed Israel to have a tabernacle, and later, a temple. But the Church Age has been distinguished from the Age of Law, among other distinctions, as the age when God dwells in the believer, not a building. 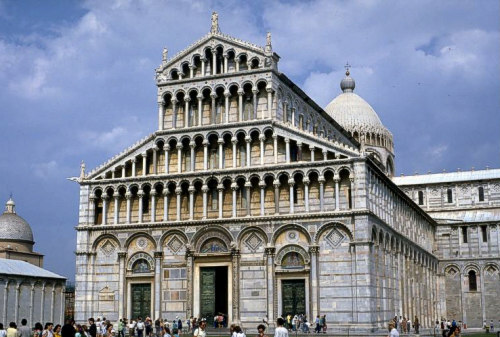 As we progress through the Laodicean Age of Church history, as many as 95% of all Christians identify themselves with buildings. It is ironic that some Baptists call their buildings "Temple Baptist Church". The emphasis of the building, the stone house, the cathedral is paramount to modern Christians of all denominations. The Body of Christ is officially the people, but in fact, the edifice, the gathering place, is ornamented far more than the Gospel preached (IF it is preached). 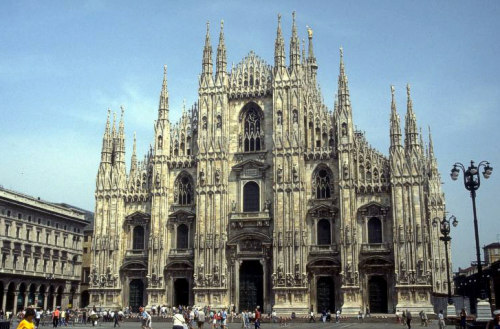 Here is a religion centered on a building. 2 Corinthians 4:6 (KJV) For God, who commanded the light to shine out of darkness, hath shined in our hearts, to give the light of the knowledge of the glory of God in the face of Jesus Christ. The early Church met in homes. 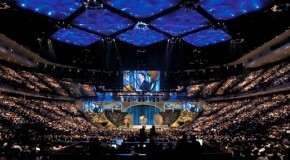 The end times Church will return to homes, as is happening right now all over the world. The virgins without oil in their lamps, the ones left behind at the Rapture of the Church, will be meeting in big beautiful pagan temples, like the freak at the left. Are YOU one of them? Tell me, do you trust only in religious entities which are incorporated, organized, documented in the files of some government department, and listed in the Yellow Pages? If so, you are dead meat for a Satanic attack. The vultures are gathering to the carcass, YOUR carcass, for a feast. This man will certainly show you how to get comfortable while devils feast on your mind and soul. Why, how could anyone be dangerous who shows so many teeth when he smiles? You see, many Christians might look at that question and not realize they'e been subjected to a dialectic question designed to alter their spiritual priorities and get them onboard an alternative agenda. This is what trained facilitators do under the radar in many churches today. But I would ask: Is that where your hope lies-- in the local church? Do you believe your church can save the world? There are a lot of misguided Christians today who have a misplaced faith and hope in their church. This makes them easy targets for church growth consultants who know all too well how to play on the egos, ambitions and insecurities of both laymen and staff wanting their church to be bigger and better than the one across town. But the Church cannot save. The Church is the saved. This section of the journal consists of examples to man's clever and perverse way of raising monuments to himself in the form of piles of stone. These piles he then calls "church." Never to enter a house of stone. It is a landmark of Ladicean peril that about 95% of all Baptist pastors CRAVE a house of stone. It is the end of the age for sure, for the Lord's Church is right back where it started-- In the homes of the people. Meanwhile; "Step right up to the altar and give the deacon your faith promise brother. We want to build a stone pile next year with a 200 foot platform and a $3,000,000 chandelier. Praise God, are we not the greatest?" get lost in each site-- Keep moving to get the point. Dead links rescued courtesy of The Wayback Machine. What a pile of stone in Pittsburgh! "Gospel Song" from Hawaii where there is no stone. WORTHY OF A JEZEBEL !! RIGHT-- Very worldly! But, they are the greatest. Queen Elizabeth, eat your heart out. I have been told the 30 foot chandelier in the atrium cost $3 million. Much of this landmark facility was originally a monument to the living. It is a wicked thing that so many Baptists allow men around them to memorialize them before they die, as Jack Hyles did to himself. What is even more grievous is to see a woman enshrined (Beka Horton) before she passes on into the Glory (IF that is her destiny). This raises said woman above the men who exalt her, which violates the Apostle Paul's teaching. We are reminded of Mother Teresa and the Hindu Yoginis. The 30 foot chandelier cost them 3 million dollars. When we left Kenya in 1976, a bush church could be built for $2500. So, with inflation, we must figure the same bush church would now cost $5000. 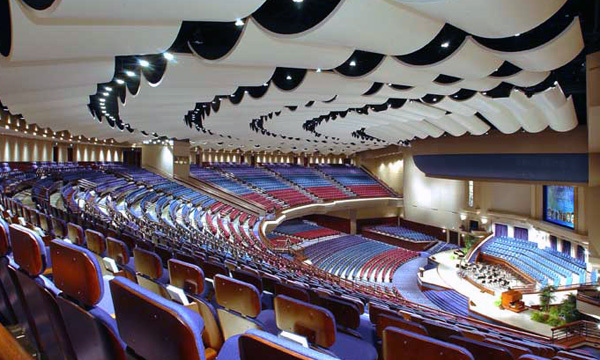 So, if they had deferred the cost of the chandelier they would have been able to build 600 churches in Africa. Never mind, the chandelier must make the hosts of heaven stand in awe and shout........................ er....................... "STINK !!" 600 local church houses in Kenya that never happened! And, after the Rapture of the Church. 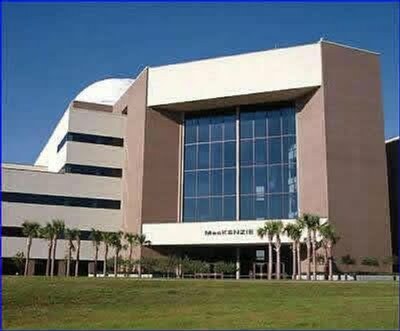 This building will be a great Florida headquarters for Antichrist's man in the USA. Or, it will be a high end whore house with dollies standing on all the stairs instead of gullible children. You saints at PCC have built your buildings for Satan to use very shortly. May God send you a 300 mile per hour hurricane, or an 8 point earthquake. May I say this-- PCC's Crown Center looks like an outhouse compared to the mansion in heaven which Jesus is preparing for me. Thus, I will just be content with our little church fellowship here in Texas. It is urgent to understand what these monolithic stone piles do..... As the Vatican presents a massive and pontifical front behind which pedophiles and sodomites hide and play.... Even so, this Crown Center is a glittering and mind numbing front behind which the leaders may indulge in virtually any vice and appetite without being examined. Asking questions of Protestant Poplettes is tantamount to blasphemy. It will soon be a landmark year in Pensacola, for wicked Baptists, as the rats run and the truth comes forth. 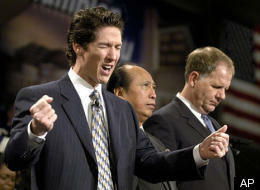 Update: Summer of 2003: Bible believers run for cover. We are told that "Dell Johnson, Dean of the Seminary at PCC, left at the end of the semester, and three others went with him. The seminary has lost half the staff it had at the beginning of the semester. There is the possibility that one or two more might still leave. As it is, they only have ONE earned doctor of theology still on staff. At least three of the pastors of the Campus Church are going. Jim Schettler, the main pastor, and the face of the Rejoice Broadcast Network, is also strongly rumored to be leaving." A war over doctrine is rumored to be brewing, and the Popess is prevailing. Well, I think they have an abundance of PhDs-- Pile Higher and Deeper. Why are we featuring PCC? Answer: Virtually no Fundamental Baptist organization has ever surpassed the grandiose and gaudy abuse of the giving of God's people like this group. 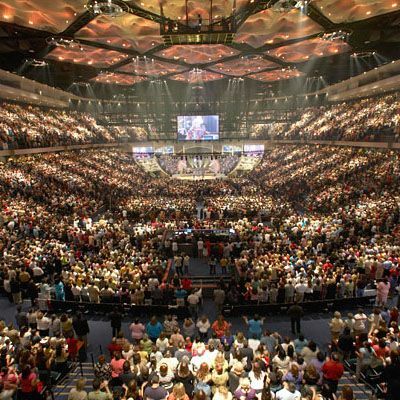 The whole thing smells of Post-Millennial notions that the Lord's Church is to build a physical kingdom on earth. 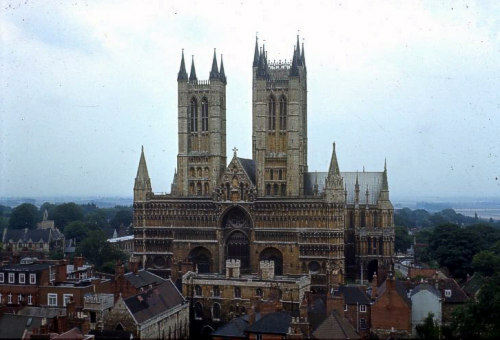 The vision of these piles of stone obliterate the simple Christlike and Pauline model of the local church presented in the book of Acts and over the past 1700 years, and model is still found in a thousand little places back up country roads in Kansas, Kenya, and Katmandu. This grand display in Pensacola is wicked in the extreme, for it sidelines the giving resources of God's people into monuments and away from soul winning and church planting. but 40 years before his day. See who REALLY builds the Stone Pile Church! Piled stone as a phallic symbol-- How many even know this? The power and the glory, yes, but whose? We have a report that a memorial to "great preachers"
"Gospel Song"-- "...a little prayer wheel's turning..." A la Buddha !!!! Little fires burning, and little prayer wheels turning, are not New Testament notions. They are 100% Buddhist. The Dalai Lama could sing this one with zeal. Again, Who is the true church? NOT a body of believers. devil. Sin is NEVER mastered. Just hit the kneelers on cue. Pope and his priests with cash. book. Only the bells are missing. 1. Pure doctrine from God's Word alone. 2. Scriptural and symbolic use of only two ordinances of baptism and the Lord's Supper. 3. Obedience to the Word by acts of change in daily life. 4. Unfeigned brotherly love while allowing the unconverted to reject the Gospel without retaliation by the saints. 5. Bold confession of God in Christ in public. 6. Oppression and tribulation are accepted for the sake of the Word and the Gospel. 7. Separation of the true Body of Christ from Caesar's authority and participation. Are they in a Cumulus Lapidum (pile of stone)? Are they the real Church? Yes, at least a small part of it. Do we like the pastor? Not too much at times. Do we like the setting? Do we want to pastor this church? Not if the Lord doesn't tell us to. BUT, Do we rejoice in the Lord's Church here? break room, and cafe where two or three gather together in the Name of the Lord Jesus Christ. You see, the modern Cumulus Lapidum has people in it who are born again Bible believers. 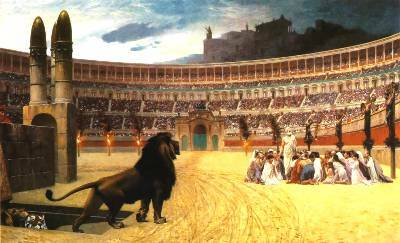 Sadly, they thing that the circus atmosphere is exactly what the Apostle Paul did in Ephesus. So, we do not curse the sheep who have gone astray, but we call them out to BE the Church. NOT JUNK PILES OF ROCKS. A bit Arminian, But no Stone Pile! Maudy is over in the corner telling little Bobby how they used to sing to the old pump organ when they had Sunday meetings at the Van County School House in Oklahoma. Brother Fred is checking his notes for the Bible lesson later. Mary and Monica are in the kitchen getting the coffee maker ready to turn on as soon as the message is over. Last Sunday they turned it on too soon and drove everyone crazy with the aroma. Jack says he actually made something for the church dinner later, and everyone is amazed the old bachelor even tried. We better eat a little so as not to hurt his feelings. Brother Miller made one of his famous Chocolate cakes with mayonnaise in it. Later, we will be going home with the Hendrys to watch a video of the Marshall family singing. Brother Bill just put another log on the fire. 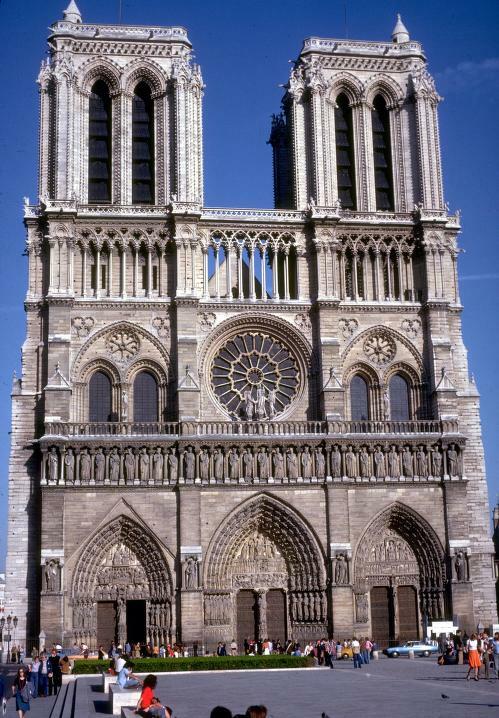 It has been three months now since we escaped from the stone pile church we were going to, and we feel so much at home-- Just like the Apostle Paul said we would. 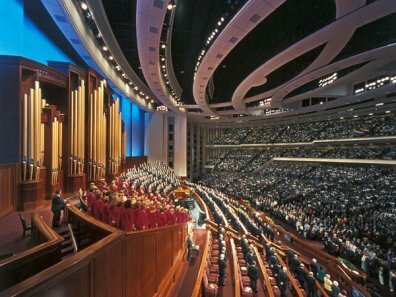 How does the world see the mega church? Check out the video at the right. house church in your area? START a House Church Youself as the Lord may so lead. For almost 1700 years the true local church met in homes. Even the Reformers failed to leave the Stone Piles. Let us return to the homes of the believers where the Holy Ghost started the Lord's Church long ago. I was there-- 1949-- Briartown, Oklahoma. Also, Quartz Hill Community church-- 1953. Brother Miller jumped the altar rail and hit half way down the aisle shouting GLORY as Tony Pellerin went forward to get saved. I was there-- Circa 1957-- My Dad visited a bush church in a mud church. For my Dad's visit they put fresh cow dung plaster on the church, inside and out, even the floor. It looked very neat and presentable, smelt like down on the farm, and when we had the Lord's Supper at the end, I never felt the presence of the Lord any more than that Sunday morning. Kipkaren, Kenya-- mud walled church with a grass roof. Sang for a solid hour before the sermon. I was there in 1979-- The founding pastor was there to do his chalk art sermons again. It smelled like a morgue and felt like it too. I was a teen ager, and I thought it was cool to stand on David Livingston's grave in church. Along the walls were ancient knights' in armor standing there ready to massacre us. CREEPY-- The singing disappeared into the ceiling. Give me that Briartown, Oklahoma church meeting in the school house any day over that Pile of Stone. WHAT IS YOUR STORY, SAINT?